An app which alerts customers to last-minute offers at local bars and restaurants has scooped a top award at the annual SETsquared Innovation Showcase, held at Engine Shed. Wriggle is a mobile-app and website marketplace helping customers discover and save money from Bristol restaurants, Brighton restaurants and London restaurants. The free app won the support of an expert audience at the event, which attracted over 170 delegates eager to see what the region’s most innovative technology companies have to offer. Eight companies from Bristol SETsquared, the award-winning business incubator run by the University of Bristol, competed in a 60-second ‘elevator pitch’ to promote their businesses. Robert Hall, the founder of Wriggle, explained how his new mobile app connects local businesses to customers, allowing them to fill empty seats. The app launched in May and has had over 2,000 downloads just through word of mouth, bringing over 700 new customers to independent restaurants and bars in the city. 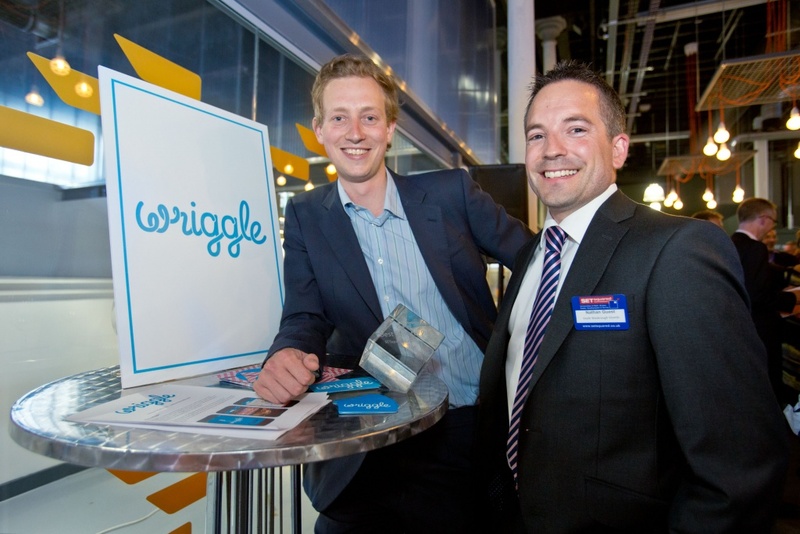 Wriggle is now crowdfunding £130,000 on Seedrs to finance expansion across the UK and into new sectors. Other pitches included a business which is using technology to prevent buses hitting cyclists, a new social network to connect community projects with companies who want to make a difference, and a new electronics project which helps support older people to live independently in their own home. The audience, who voted for the best pitch, was made up of angel investors, representatives of grant-funding and venture capital communities in London and the South West, senior executives from major corporations and supporters and mentors of SETsquared. A further five ventures that are supported by SETsquared Bath or Bristol exhibited their work at the event, including a lone working and fatigue management solution, to ensure the safety of people working alone, and a tool to accelerate online sales through multiple marketplaces. The showcase coincided with a report from the Centre for Cities on UK clusters, highlighting SETsquared, Engine Shed and Bristol’s Watershed as major coordinating bodies in the cluster. Nick Sturge, Director of Bristol SETsquared, said: “I have never been more excited by the prospects for the companies that we support today, nor for the economy here in Bristol and Bath that is truly buzzing. Simon Gibson OBE, CEO of prominent global investor Wesley Clover Corporation, said: “There have never been greater opportunities in the technology market and the level of activity around SETsquared in Bristol and Bath is truly impressive. Sponsored by Veal Wasbrough Vizards, Baker Tilly and the SW Microelectronics iNet, the showcase also provided an invaluable opportunity for the region’s high-tech, high-growth companies to network with potential investors.